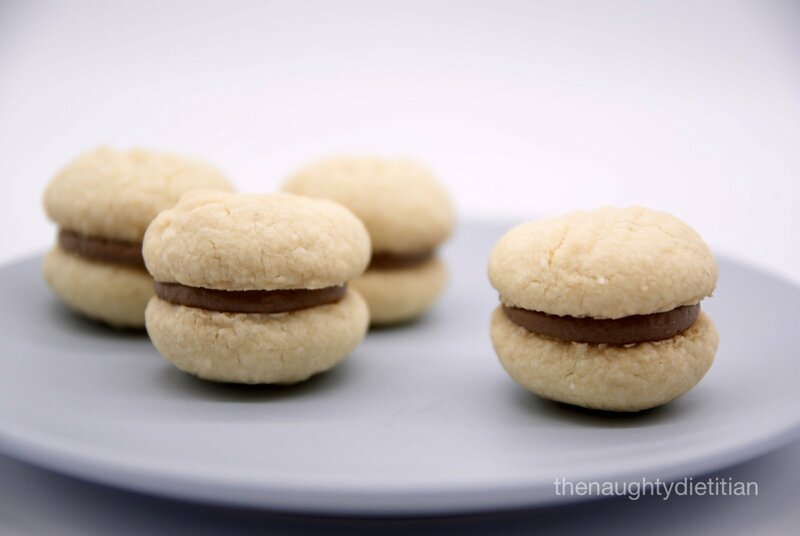 These Gluten Free Melting Moments bring back so many memories from my childhood! Back then I only knew these biscuits as “Yo Yos” thanks to my beloved Nan and Mum. Nan would always get so cross when she went to bake a batch and I had eaten half the raw mixture already from the fridge (oops). Back in the day, these biscuits were made with a traditional lemon icing and regular flour and feature as part of food stalls at school fetes, a country Sunday market called “Trash & Treasure” and to raise money for various charities/organisations. So I thought it was about time I make a “Gluten Free Yo Yo” and try a variation with Chocolate Buttercream instead. I’ve also included a Lemon Buttercream in case you prefer the more traditional melting moment. Both are YUM. Happy Baking and New Year! Preheat oven to 160°C and line two baking trays with baking paper. Using the stand mixer fitted with the paddle attachment, beat the butter, vanilla extract and icing sugar on medium speed until pale and fluffy. Then stir in the sifted flours until well combined. With hands coated in cornflour, roll a heaped teaspoon of mixture into round balls. Place approx. 1 inch (2.5cm) apart on the baking tray and flatten slightly with a floured fork, leaving a fork indent in the biscuit. Bake for 16 minutes and remove from the oven allowing to cool on the trays for 10 minutes before transferring to a wire rack to completely cool. NOTE - The biscuits are extremely delicate and crumbly so be careful when transferring as they easily break. In the meantime make the buttercream filling. Using the stand mixer fitted with the paddle attachment, beat the butter and icing sugar on medium speed until pale and creamy. Then add the melted chocolate and beat until incorporated and smooth. Using the stand mixer fitted with the paddle attachment, beat the butter and icing sugar on medium speed until pale and creamy. Then add the lemon juice and beat until incorporated and smooth. Spoon the buttercream into a piping bag fitted with a round nozzle and pipe approx. 1 teaspoon mixture over half the biscuits. Top with the remaining biscuits and press lightly to combine. Then refrigerate for 1 hour to allow biscuits to set. This entry was posted in Food, Other Biscuits and tagged Biscuits, Chocolate, Cookies, Gluten Free, Melting Moments, recipe, Shortbread. Bookmark the permalink.